Be The Cowboy is out on August 17. Mitski recently announced details of new album Be The Cowboy, to be released on August 17. New song "Nobody" is streaming now with a video you can see above. The bright and surreal visual was directed by Christopher Good. 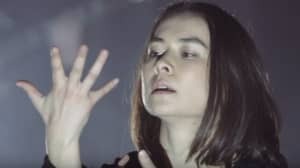 In a press release, Mitski said: "We shot this video over five days, in both sides of Kansas City. I've never been able to take this much time to shoot a video, so it was wonderful to have the space to get the details right, as well as actually hang out and have fun with everyone involved. This video made me fall unexpectedly in love with Kansas City." Be The Cowboy is the follow-up to 2016’s Puberty 2 . Check out Mitski's upcoming tour dates below.